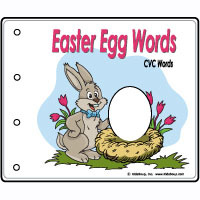 In the Easter Egg Farm by Mary Jane Auch, chicken farmer Mrs. Pennyworth discovers that one of her hens, Pauline, doesn’t produce eggs of the usual variety. 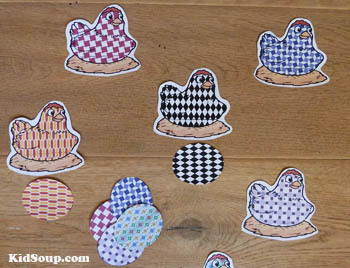 Pauline’s eggs reflect the patterns she sees in her environment, which makes her something of an Easter Chicken. 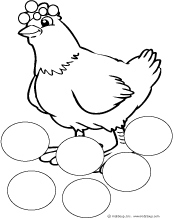 Mrs. Pennyworth nurtures Pauline’s creative egg-laying by exposing her to objects around the farm and in the farmhouse, which inspires Pauline to lay a bounty of eggs with bright, colorful designs. The book’s illustrations are drawn with bold color and children will delight in matching Pauline’s eggs to items they find in the pictures. 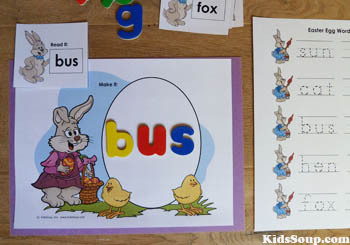 While fitting nicely into an Easter or Egg theme, this story also provides a natural lead-in to patterning activities. 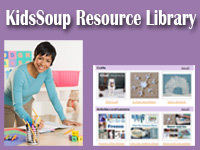 Here, we provide ideas for discussion and reflection before reading, during reading, and after reading. 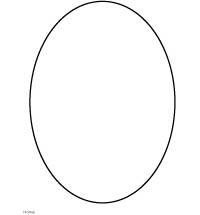 How do you think the egg ended up with the same pattern as the one on the woman’s dress? Have you ever heard of an Easter Egg Farm? What do you think happens on an Easter Egg Farm? 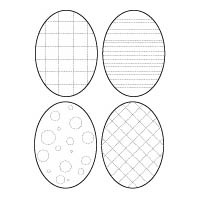 What is the pattern on this egg? 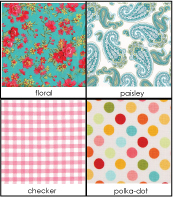 Can you tell me what Pauline saw to produce this pattern? 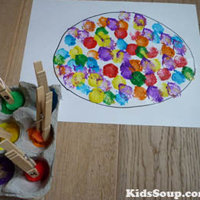 Let children color the egg with a patterns. 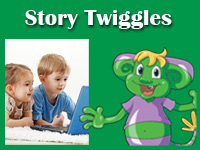 Then, introduce the following movement activity to shake out sitting and listening muscles. Have children stand in a large circle. Explain that for each verse of the song, the children wearing the pattern called out move into the circle and act out the corresponding movement. 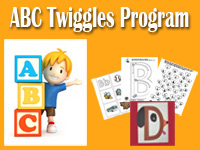 If there are children who do not have on any of the patterns mentioned, give them one to two fabric squares to hold or attach to their sleeves. If you’re wearing strips, touch your toes. 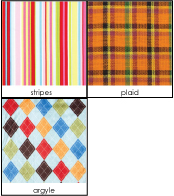 Repeat verse with additional patterns (polka-dots, plaid, argyle, floral etc.) and movements (nod your head, clap your hands, reach up high, etc. ).